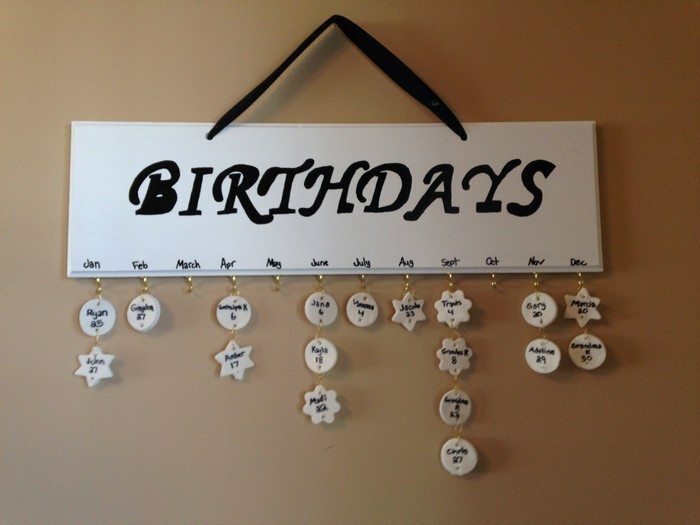 Are you always scrambling at the last minute to buy gifts for a loved one who’s birthday you forgot? You might have forgotten to check your date book, or missed the notification in facebook. 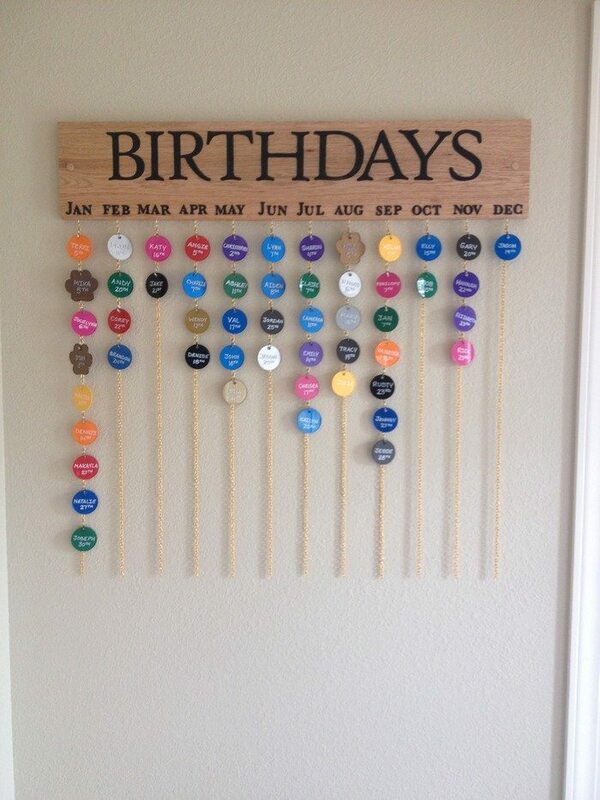 This functional and decorative event calendar is the solution! This calendar is very easy to make, and is made of materials you can easily find at home, or source from your local hardware store. 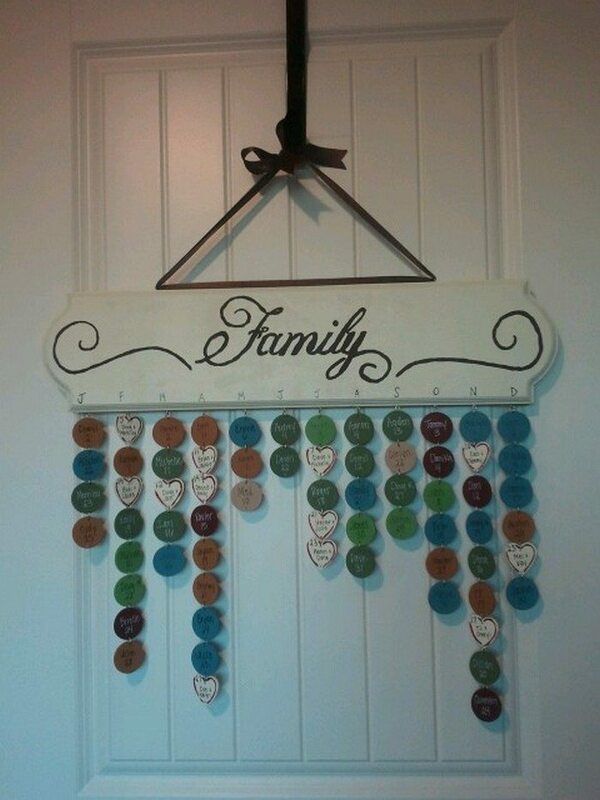 It has a board with 12 hooks, one for each month of the year. 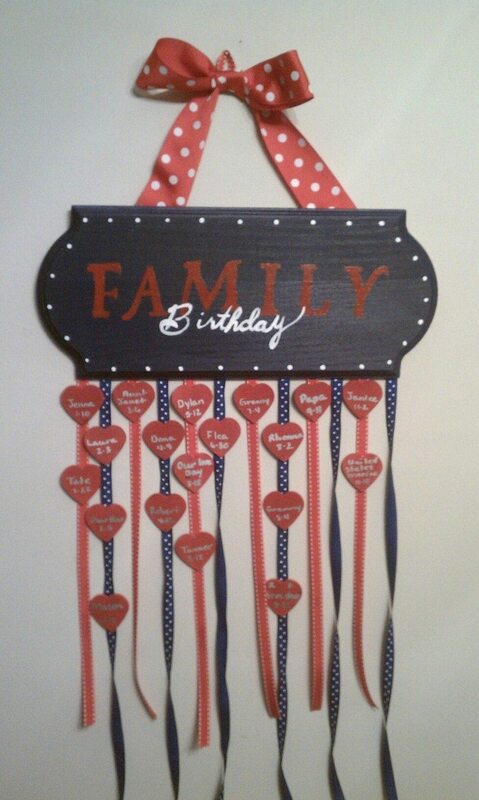 From these hooks hangs tags with names and birthday of each family member, relativeor friend. 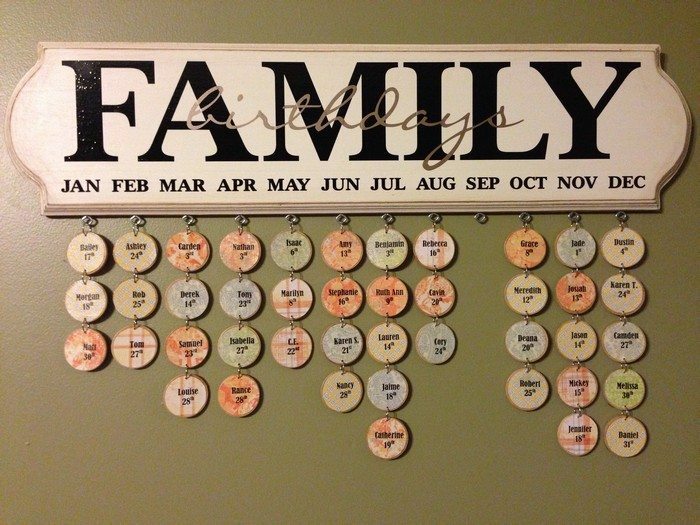 What’s great about this calendar is that it’s so easy to customize and personalize. 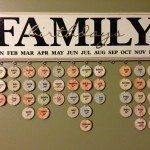 You can use different colors to represent the gender of the celebrant. 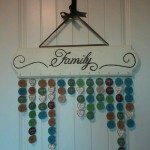 You can make use of different shapes of tags to indicate if it’s a family member, relative, or a close friend. The customization opportunities are limitless. 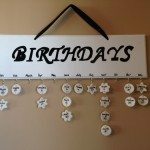 Don’t want to miss another birthday? 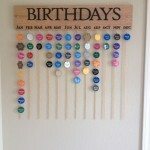 Why not make this DIY birthday hanging calendar! Spackle – Used to fill gaps in the molding corners and holes in the header board’s surface. 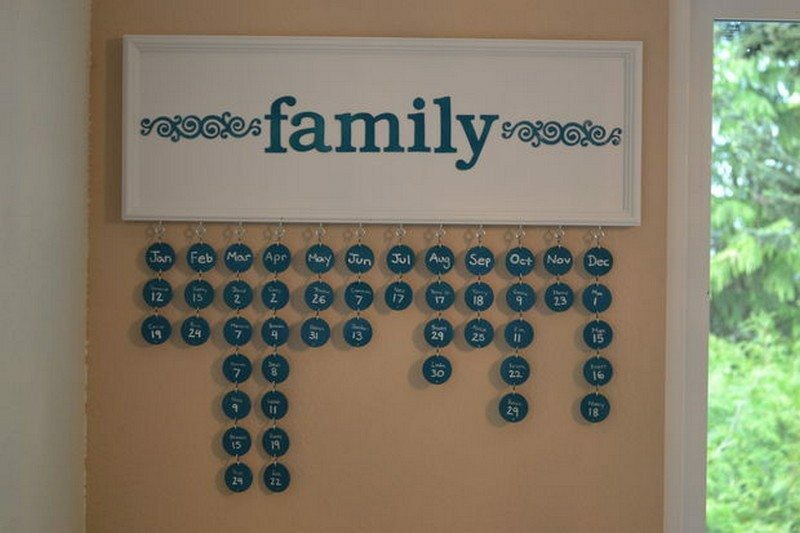 S-Hooks – two hooks attached at one end forming an S shape to hang the names/dates. 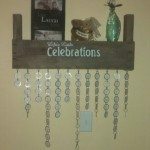 Quantity depends on the number of wood shapes you have – one S shape for each. 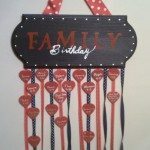 Decorative Materials – Paint pens for writing on the disks, stencils for lettering the board, etc. Fishing Line – Floss or very small gauge string will work too. 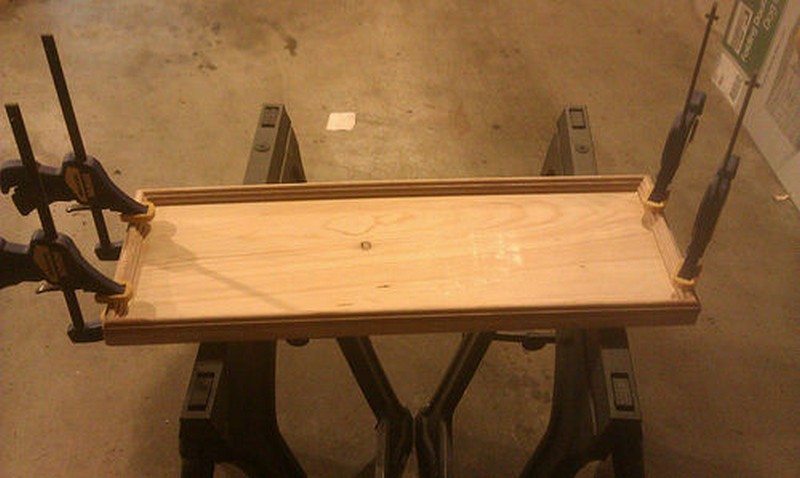 Palm Sander – Optional but it is much easier than sanding everything by hand. 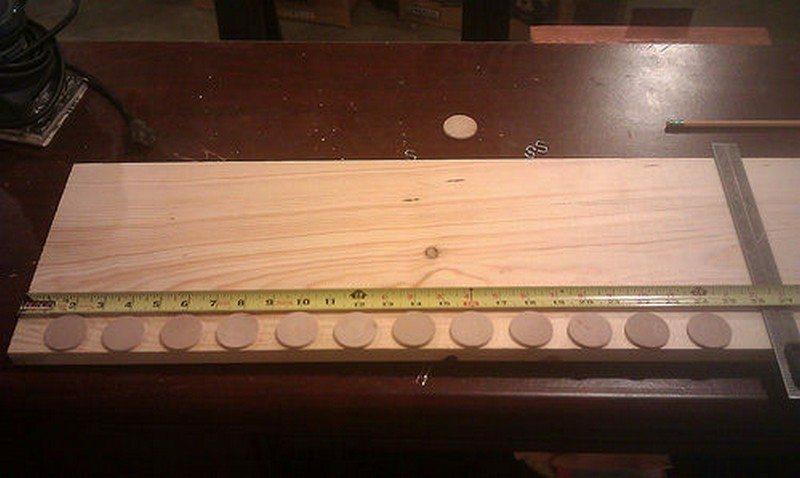 Line 12 wooden pieces across your board to determine the length. 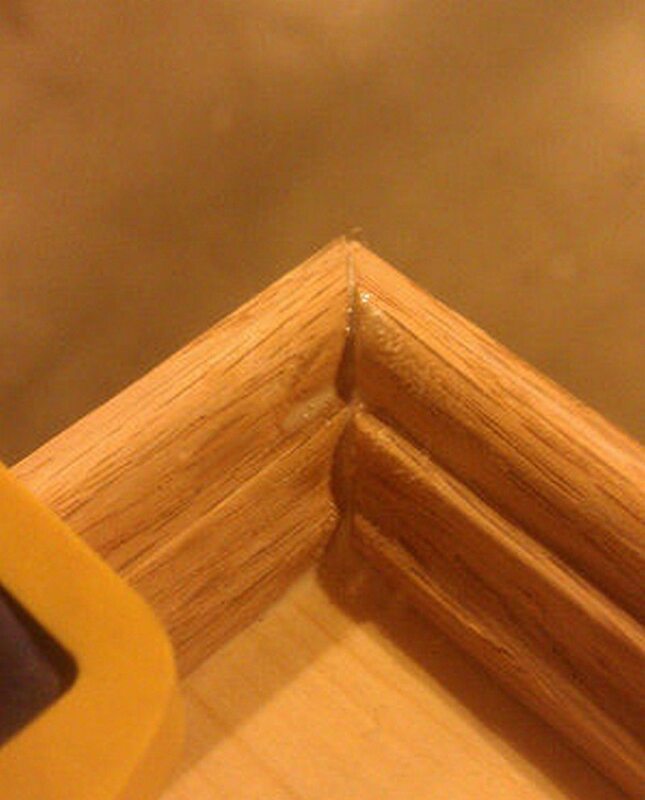 Make sure to offset for the molding trim on both sides, and enough spacing in between your wood pieces. Cut the board to desired size. 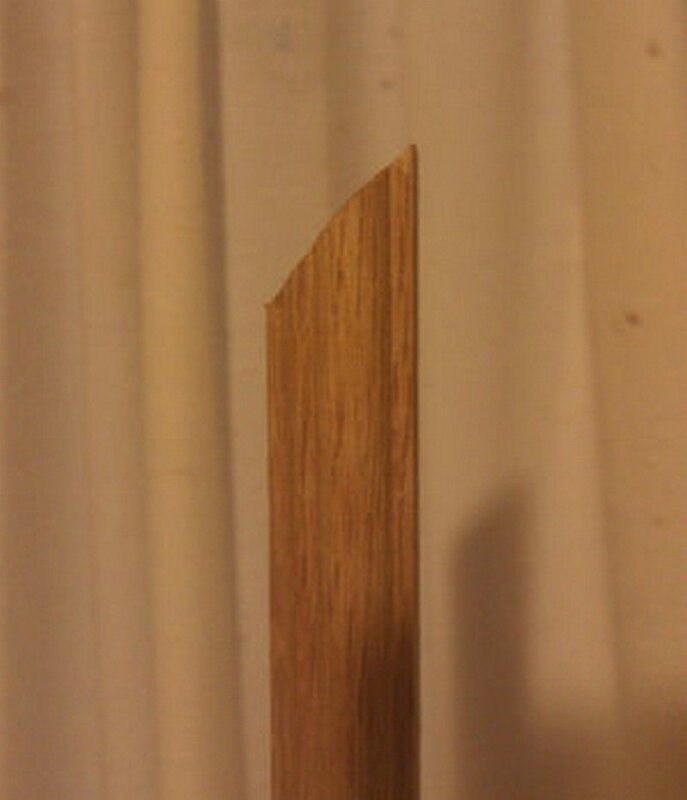 Measure and cut the thin moldings, and mitre cut the ends. 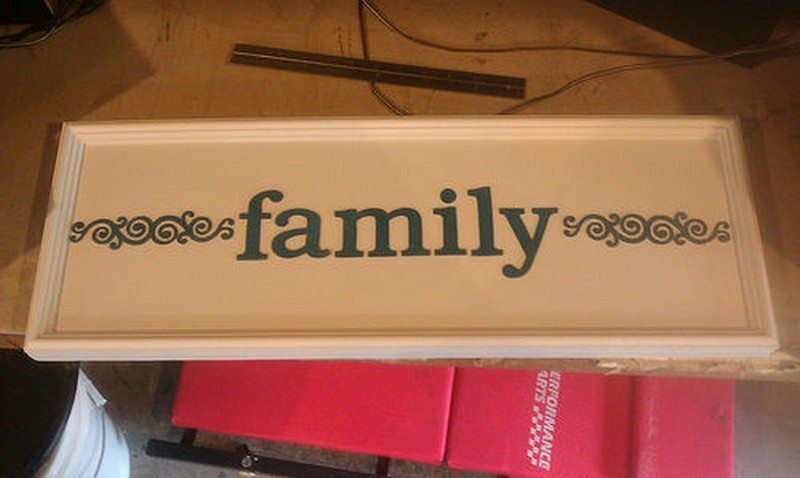 Sand the board and moldings to prepare for painting and to get rid of rough edges. 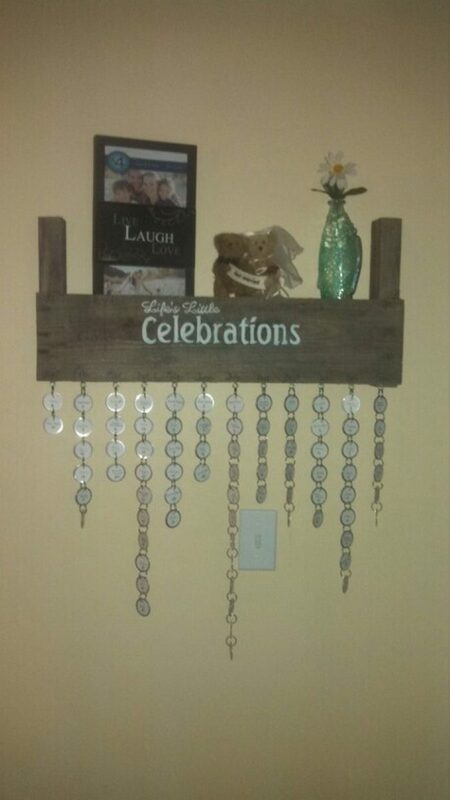 At this point you can screw the hardware for hanging the calendar. You can choose to install it after everything is done, but you risk damaging the face of your calendar if you are not careful enough. 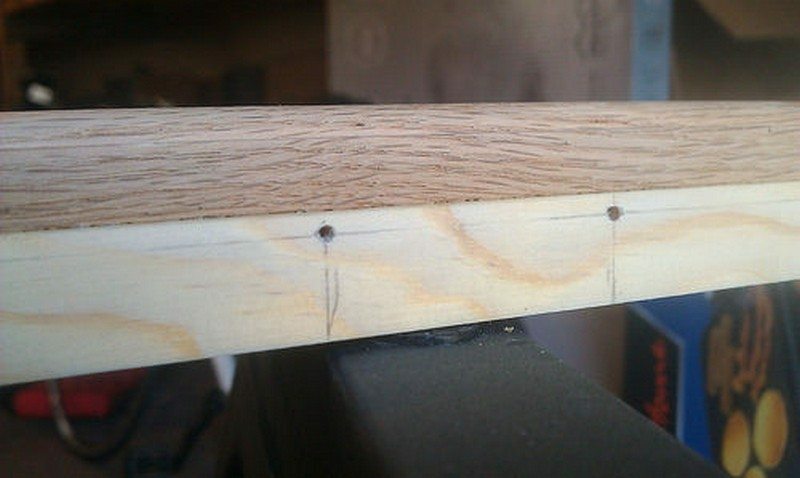 Drill pilot holes for each of the twelve eyelet locations at the bottom of the board. Determine standard spacing, center-to-center. 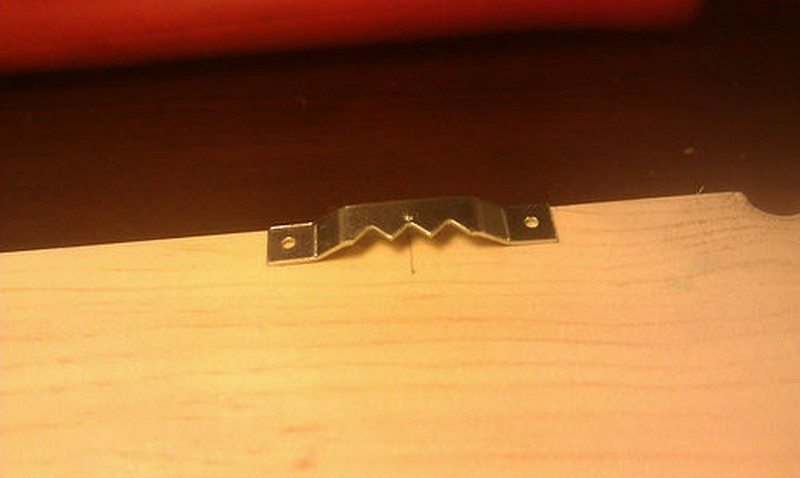 In this photo, the holes are 2-inch apart from each other, and are about 1/8 of an inch from the front edge of the board. 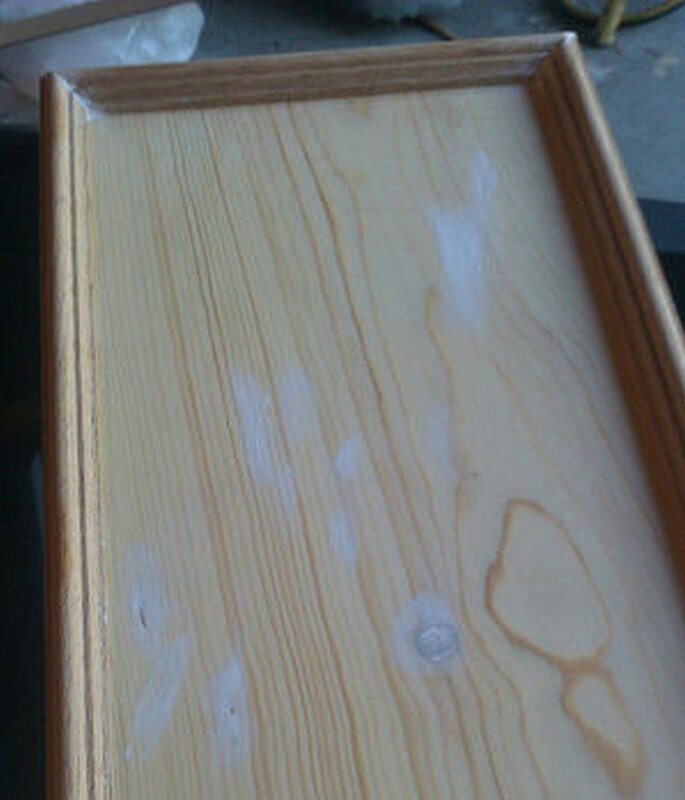 Glue all the molding to the board. Use clamps to secure a strong hold. Spackle tiny holes or uneven surfaces. Then you are ready to paint.